Augusta Rohrbach broadens our understanding of the American literary tradition by showing how African American literature and culture greatly influenced the development of realism. 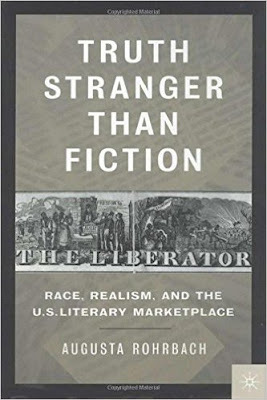 Rohrbach traces the influences of the slave narratives—such as the use of authenticating details, as well as dialect, and a frank treatment of the human body—in writings by Howells, Wharton, and others, and explores questions about the shifting relationship between literature and culture in the US from 1830-1930. Beginning with the question, “How might slave narratives—heralded as the first indigenous literature by Theodore Parker—have influenced the development of American Literature?” Rohrbach develops connections between an emerging literary marketplace, the rise of the professional writer, and literary realism.